What is a posted mortgage rate? 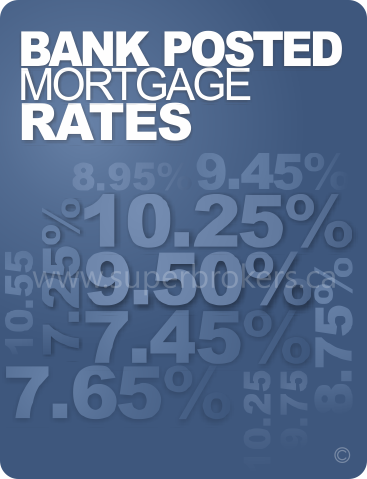 Posted mortgage rates are the rates put on websites and flyers by the big five Canadian banks. Posted rates are the standard by which banks start their negotiating, expecting consumers to negotiate them down. Negotiating rates down increases customer satisfaction...? The banks find that their customers are happier with rates if people have worked the rates down by half a percent, or somewhere thereabouts. The fact that often even these slightly discounted rates are a point or two above smaller lenders' averages doesn't hurt their profits either, but it's disingenuous towards their loyal customers either way. Here's a comparison of typical posted rates vs typical broker rates. The differences should speak for themselves. 1 Posted rates are based off of RBC's closed mortgage rates. 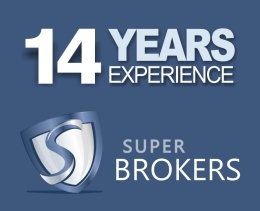 2 Based on Super Brokers's discounted mortgage rates. Our mortgage qualification calculator will help you get a better idea of how much you can afford. Just enter a mortgage amount, choose a rate and find out how much your dream home will cost to own. You may be closer than you think to owning your home. Try it!